With so many trendy eateries recently opened in downtown Sugar House, it’s natural to wonder how the old, established restaurants are handling the competition. I called Dan Neilson to ask how Millie’s Burgers was adapting to the changes. It was gratifying to hear she’s doing just fine. 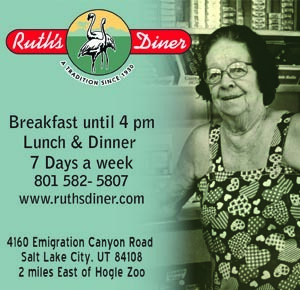 Marlene and Howard Miller bought the Sugar House hamburger shop in 1970, when it was an Arctic Circle franchise. In 1981, they renamed the business “Millie’s”, which was Marlene’s nickname. here have been no drastic changes to the shop since 2001, when the Millers retired and their daughter Stacy and Dan took over the business. “Anytime we change anything we hear from our customers,” Dan said. They still make their own sauces, and their legendary deep-fried veggies are made from fresh potatoes, mushrooms, zucchini and onions. When salesmen brought samples of frozen French fries, Dan said he tried them, but ended up throwing them away after customers complained. Dan said he learned early on that quality always trumps price. 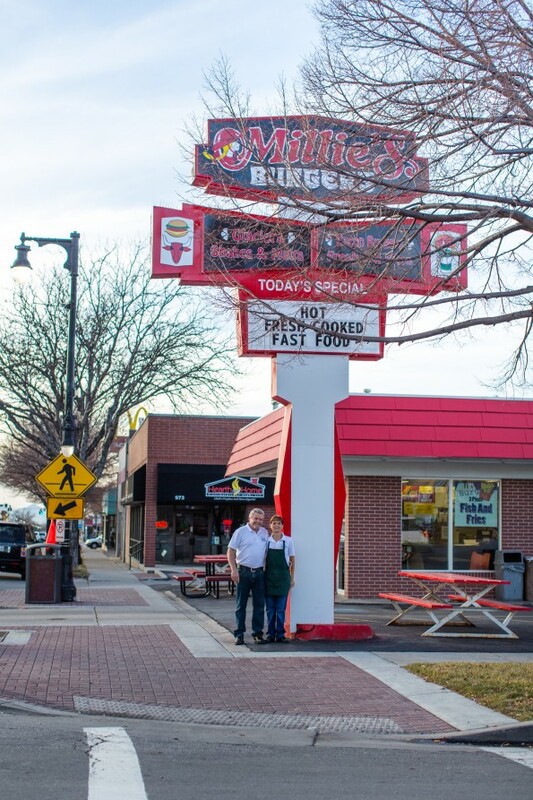 Many of their old time regulars eat at Millie’s at least once a week, and residential development in the business district has brought new customers. 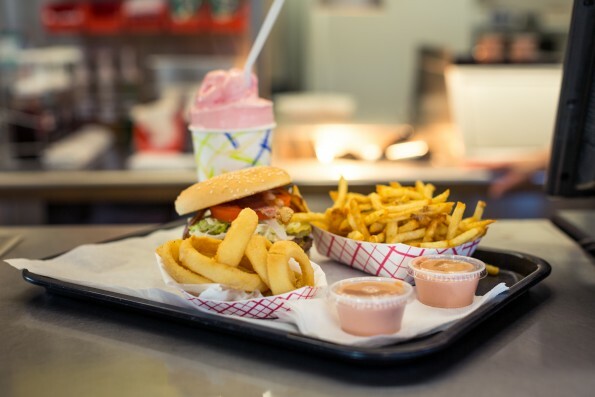 The favorite menu items are still a Millie Burger, fries, and a milkshake made the old fashioned way, above the rim, and to order with candies, fruit, flavorings, and even nuts – whatever the customer wants. Stacy Neilson and her sister Vickie worked the night shift for their parents when they were teenagers. Now Stacy and Dan’s sons, Jordan and Jarrad, are doing the same. 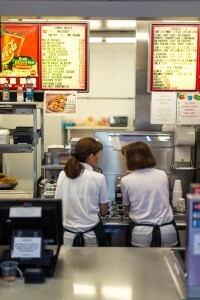 Millie’s has provided many Sugar House kids with their first jobs. Dan said they become loyal customers, and have told him that when they leave town and return, the first restaurant they visit is Millie’s. The shop is easy to find with its distinctive, mid-century sign. 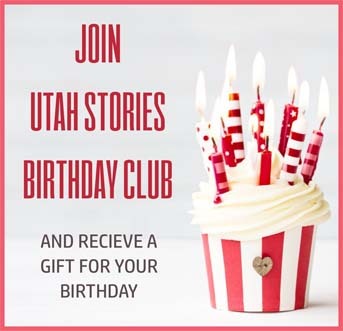 It is one of eight chosen by the Sugar House community as representative of a disappearing art form and a time when most 21st South businesses were locally owned and operated. Dan says he considered tearing out the vintage electric icon last year, but learned that a city ordinance would not permit them to reconstruct the old one So the Neilsons opted to renovate the original. Chalk up one more win for old-fashioned quality.